I have a bad track record with post-baby weight (well, weight in general, but that’s another post for another day). I’ve never really gained more than about 15-20 pounds during any of the 3 pregnancies (which is good since I started them all overweight). 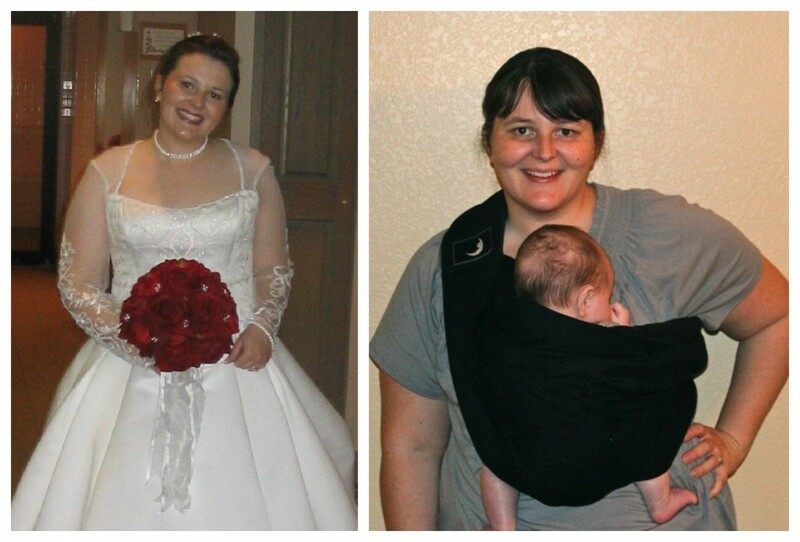 This last pregnancy was actually the lowest weight gain at not even 15 pounds. So with all 3 pregnancies, by about 3 weeks postpartum my weight has actually been below my pre-pregnancy weight by 5-10 pounds. I know! So essentially, pregnancy has been a great weight loss plan for me. BUT, all 3 times now, I put all the weight back on, plus at least 5-10 pounds extra in the few months that follows. Apparently, the combination of losing that little body inside me sucking up extra calories, the hormone shift & baby blues that make me want to eat, the newborn stress & exhaustion, and the lots of sitting around (you know, the hours a day I spend pumping, nursing a baby, snuggling/rocking a baby, etc.) isn’t a good one for my weight! I vowed that it wouldn’t happen with each subsequent pregnancy, but it has. With Big Brother, I worked hard at dropping those extra 5-10 pounds I put on post-baby and it worked. I maintained that weight and was the exact same weight when I got pregnant with Little Brother as I was with Big Brother. But, when the post-baby weight gain happened with Little Brother, I didn’t lose it all. I didn’t put in the work; was sitting WAY more (hello, computer!) compared to my normal teaching days; had more access to food (being constantly in the house all day); and was eating out more. Needless to say, I gained weight. And now, the post-baby weight gain has occurred again. Three weeks postpartum this time I was doing great and down 7 pounds from my pregnancy weight. But, now 12 weeks out, I’m 1 pound over that pre-pregnancy weight (which was the heaviest non-pregnant weight I’d ever been). Ugh. Now that we’re transitioning out of that newborn stage into just the normal baby phase, we’re getting more sleep and have settled into a fairly comfortable routine. So it’s time for me to put a stop to the post-baby weight gain (and hopefully start the post-baby weight loss). I’ve accepted a fun blogging challenge to try Lean Cuisine meals once a day while also starting Couch-to-5K (C25k)! As a teacher, I used to take frozen meals like Lean Cuisine quite frequently for lunch. Since being at home instead though, I’ve found myself not eating consistent meals at consistent times, skipping meals, and just generally not eating as healthy. So, hopefully this will help get that back on track. We actually just did a “healthy foods” shop at Sam’s Club this week where I got two Lean Cuisine Asian Flavors 6-packs (a super sweet deal at less than $2 a piece)! I plan on replacing my at-home lunches each day with one of the Lean Cuisine meals. They look good! Plus, I stocked up on other healthy things like greek yogurt, turkey bacon, lettuce, vegetables, etc. So, hopefully we’re good there. 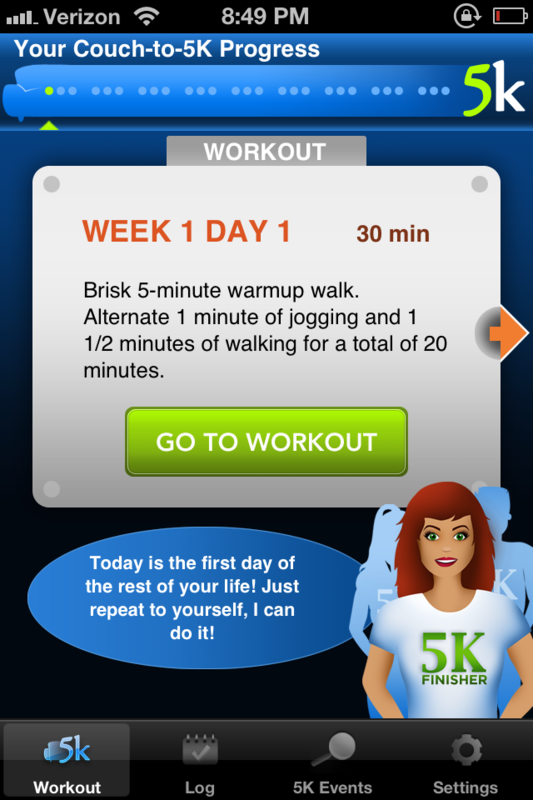 Now, for the exercise part… I’ve heard great things about Couch to 5k. There’s quite a few of my friends that have used it with great success. The app was super easy to load and it’s all set on my phone. I’m not a runner (obviously), but I’m hoping this will be doable. I’m not entirely convinced that after being pregnant and now this post-baby weight gain, I can manage to even run for one solid minute like the app says, but we’ll see. Plus I’ll have the support of a few other bloggers that are taking the challenge as well– Always Expect Moore and The Grant Life. I’ll be updating day-to-day via instagram (momendeavors) and this google+ story. And, in a couple of weeks I’ll give you a report here on the blog. 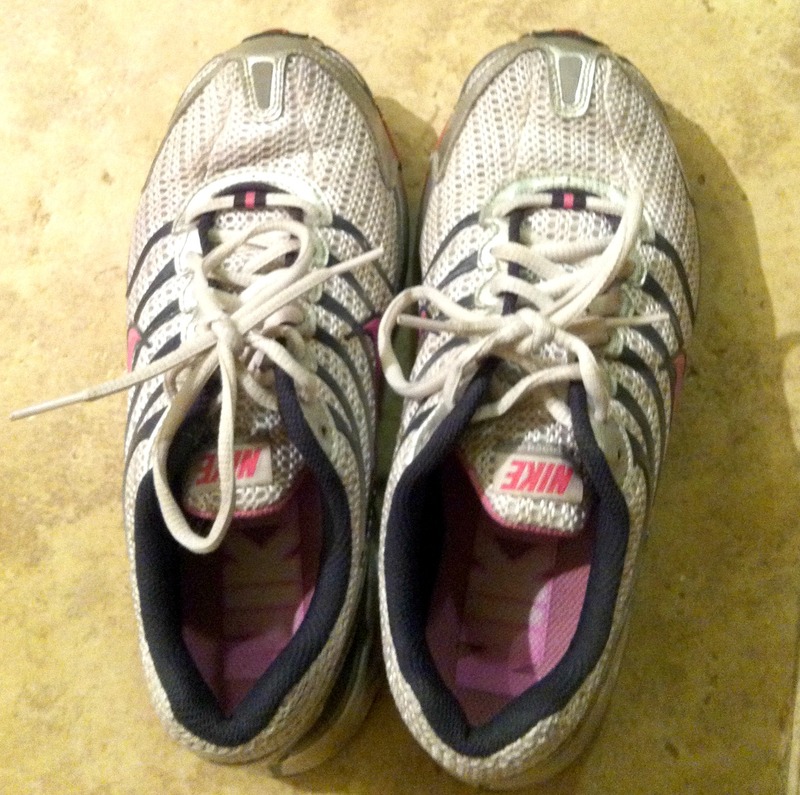 My workout shoes are ready, so the fun starts today! Have YOU tried Couch-to-5k? How did it go for you? For more info, you can follow the #FrozenFavorites hashtag on twitter and check out Lean Cuisine on Facebook and Twitter. Disclosure: I am a member of the Collective Bias™ Social Fabric® Community. 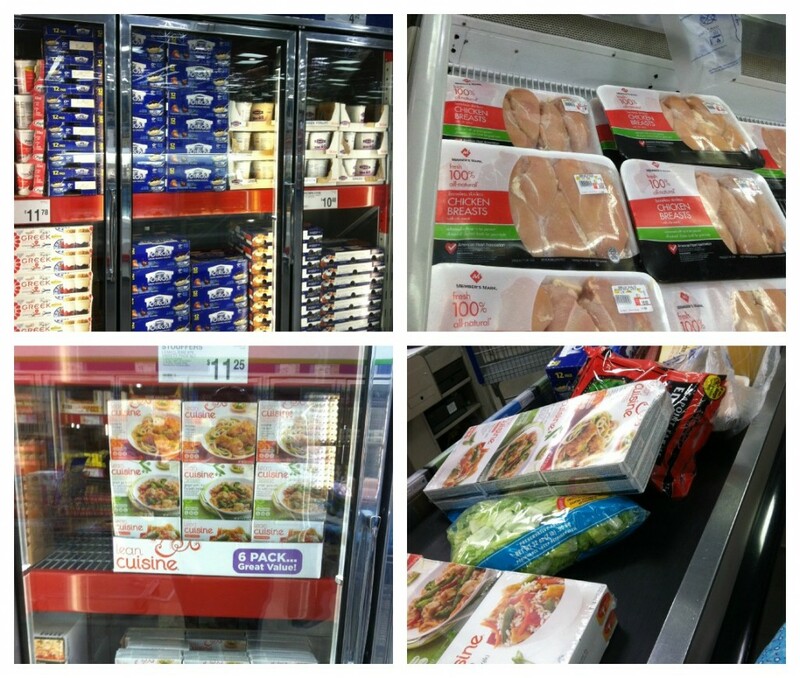 This shop has been compensated as part of a social shopper insights study for Collective Bias™ and (Nestle) LEAN CUISINE #CBias #SocialFabric #FrozenMeals. However, all opinions and experiences are entirely my own. I love Lean cuisine meals. I’m a SAHM, but it is what I eat when I have no motivation to make anything else. I’ve never tried the couch to 5K app, but I did something similar just on my own. I’m not a runner, but after just 8 weeks I could run 2.5 miles with just one break. Wow, 2.5 miles!! That’s awesome!! 🙂 Thanks for sharing that, Amy! OMG congratulations!!!! I tried to use couch to 5 k but ended up training for a half marathon and doing the walk run method as well. I feel like we have sister genes! I only gained 14lbs with each pregnancy, started out over weight too, and after giving birth being at a lower weight than when I got pregnant. I am struggling now too. I am not at my heavest but I am up there. I am training for another half marathon, It’s in less than 1 month and i am not ready!!!! I hurt my hip and knee last year training for my first half and I still have not fully recovered. I am going for an MRI on Monday. I see your shoes….go to a running store and get fitted for a good shoe that fits the way you step. It is SO important to get running shoes that work for you. Oh by the way fellow Disney momma….I ran the Tinkerbell Half Marathon last January and running the Disney World Wine and Dine Half Marathon next month!!!! Earning my Coast to Coast medal!. Check out RunDisney.com maybe you and the fam can train for the Neverland Family 5k in January! Good luck and I will be following your progress and hopefully movitating myself too! How did your MRI go? Hopefully ok.
Good for you for taking the right steps. My husband did couch-5k and loved it. He found it very doable and a great goal to work towards. Good luck! Thanks, Tesa! Good to hear that your husband liked the program! My husband uses that app and eats Lean Cuisine and other healthy options and has lost over 50 pounds! It’s do-able. Good luck! I just lost my third baby’s weight gain. And now I am focusing on baby # 2, who is now 6. Lean Cuisine offers great options. Good luck Sara! I think the hardest thing is finding the TIME to do it all. That’s also a problem I know we share…we want to DO IT ALL. We need to pick and choose and let some things slide, which is against our nature, I think. I know 3 people who have done C25K and it worked for one of them longterm. I’m not sure about the other two. Once you get used to the food boxes of portioned food…you should put some of your freezer cooking ideas to the next step and cook and freeze in single portions. I started doing this before my husband deployed but haven’t stuck to it. At any rate, it should help you take out portion controlled meals, which is really what your purchasing anyway, but YOU control the ingredients and sodium. I understand your frustration with weightloss. Even though I’m down to my pre-pregnancy weight from before both kids, the weight has shifted AND…I’m 40 pounds heavier than when I got married, which is when I stopped working out regularly. So…I know my answer is in exercise. Now I need to MAKE the time. I just have to decide what to take that time from…Good luck! Thanks, Anna! It is SO tough to find the time and to take care of ourselves as moms. That’s a great tip about the freezer cooking! I do it anyway, so might as well make myself some lunches. And, thanks for the general support. Good luck to you too!